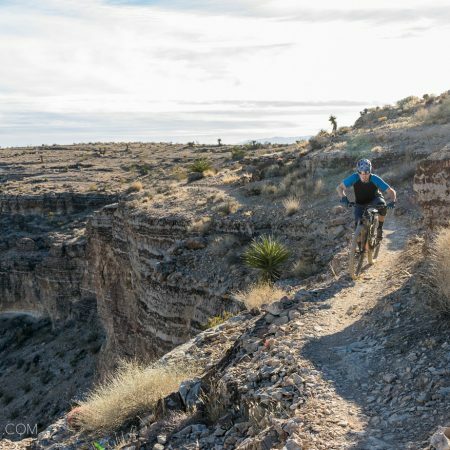 Las Vegas is a town known for it’s nightlife, but there’s a surprising amount of outdoor recreation to be found in the surrounding areas. 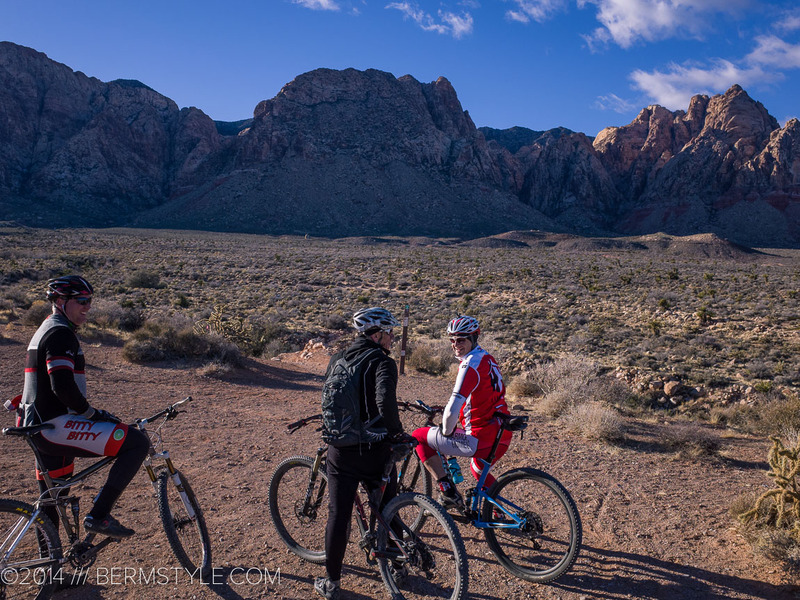 As mountain bikers, we think of Bootleg Canyon in nearby Boulder City when we think of Vegas riding, thanks to the Outdoor Dirt Demo and the Interbike tradeshow. 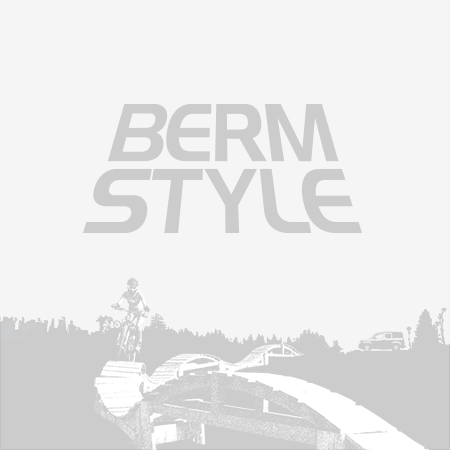 Most of the year it gets quite hot, but in the middle of winter, temperatures are moderate, making it a suitable winter destination. 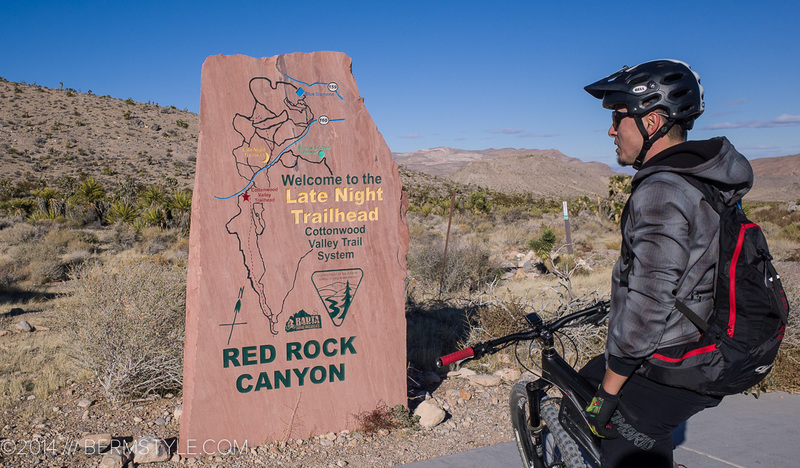 Bootleg Canyon is known for being hard on riders and bikes, and while we like the challenging terrain, we were in town for several days and wanted to see what else the Vegas area has to offer. 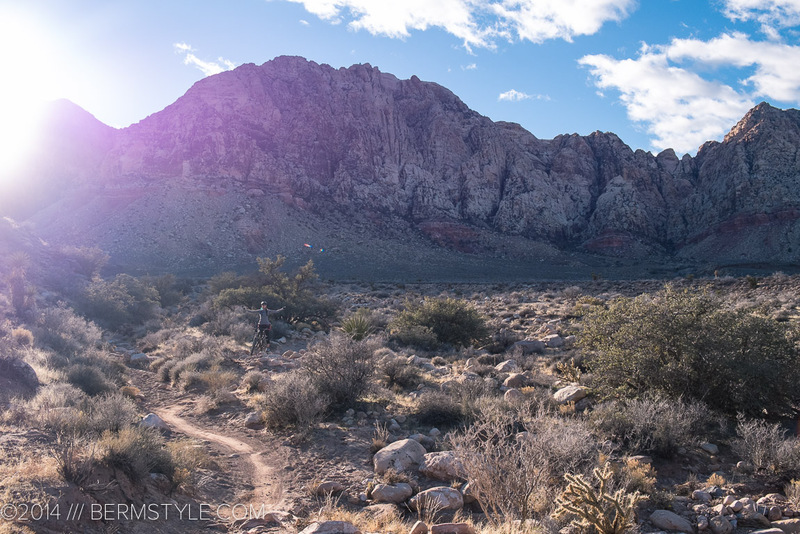 The forecast called for wind, so we elected to check out a trail running through more moderate terrain. 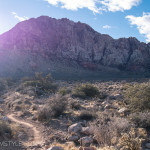 After some online research, we were on the way to check out the Blue Diamond Loop in the Cottonwood North Trail System. 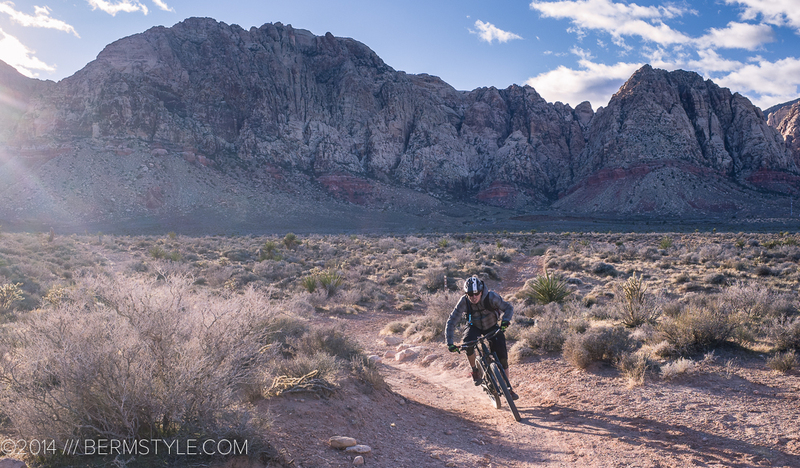 Heeding advice from MTBProject.com, we headed to the small town of Blue Diamond (30 minutes southwest of downtown Las Vegas) and parked at Mcghies Bike Outpost, the local bike shop. 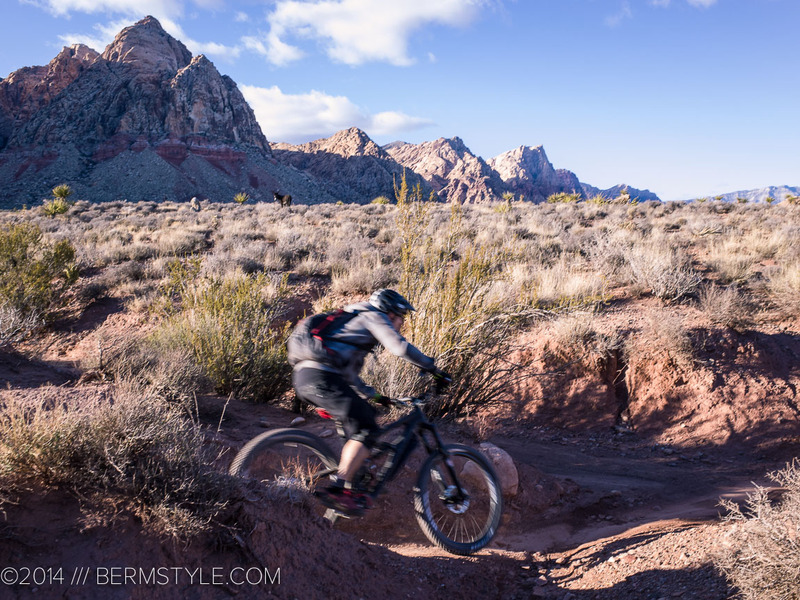 The terrain is pretty typical of SW riding, with a trail surface that varied from hardpack to sand, to slickrock. 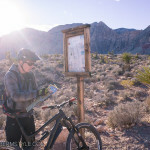 There are a lot of options to chose from so we took the advice of the local bike shop, bought a map and headed out on a clockwise route around the rock that covered 13 miles or so. 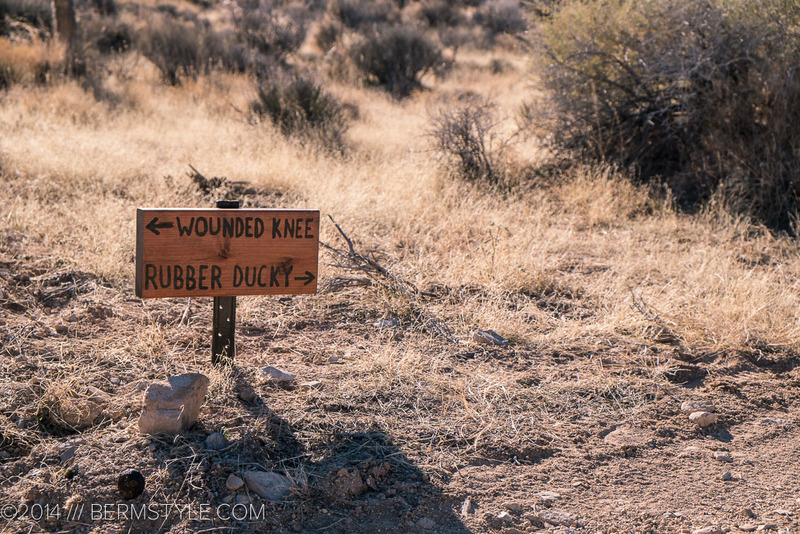 The first part of the ride didn’t feature signage, but we encountered some further in. It didn’t match what was on our maps though. 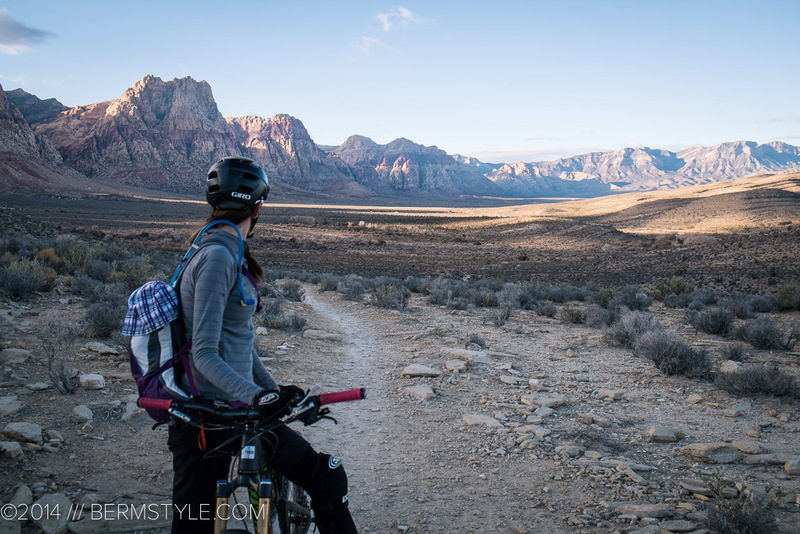 Our map featured a number of trail options, but we encountered a few more. There was also some new looking signage, that according to some locals had been erected fairly recently. You’re never to far from the freeway on this ride. We stopped to check our bearings at the alternative parking lot off the 160. There isn’t a big danger of getting lost, as you can see for miles, and the landmarks make navigating easy. You have mountains to the west and highways to the north, east and south. There were quite a few spur trails that could be a bit confusing since many of the names didn’t match up with the map, but making our way was easy enough. 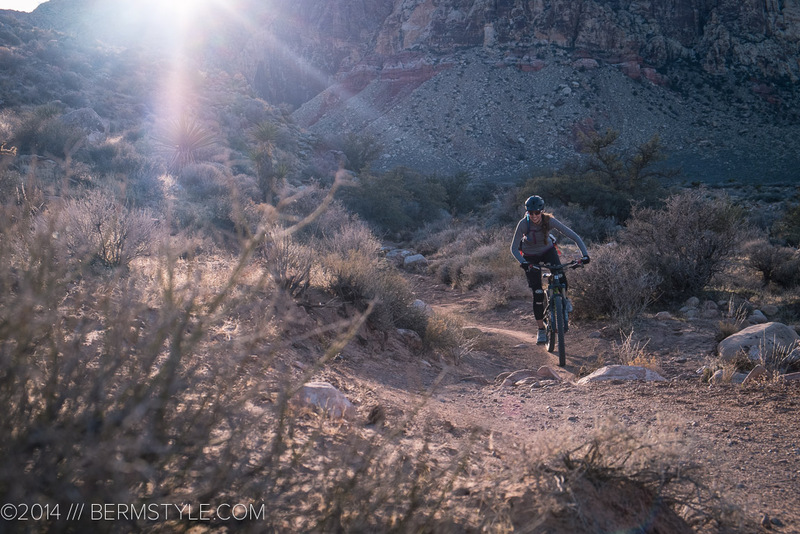 Desert riding is a great change of pace from the Bay Area, and the views are gorgeous. 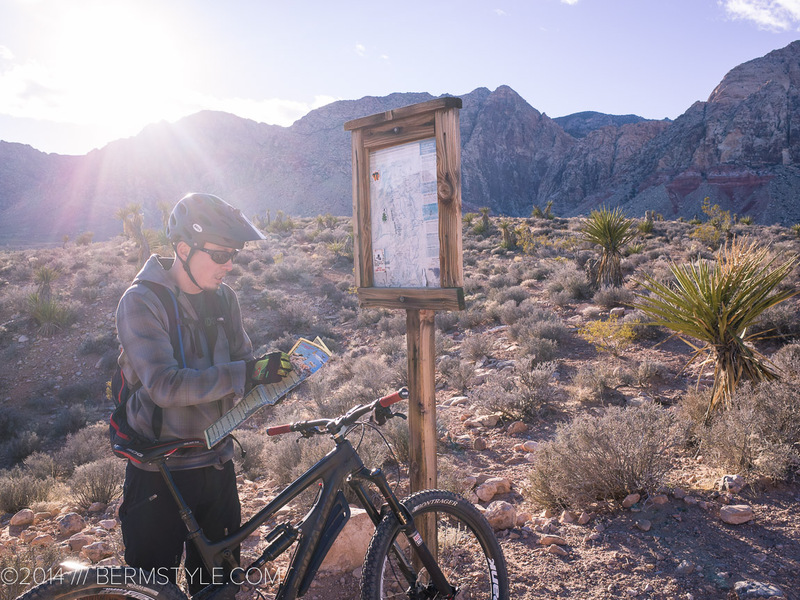 We followed some locals for a bit, and not having to stop to consult the map for a while at the intersections was a nice change of pace. Is that a burro in the distance? The loop is rated as a blue square, or intermediate. 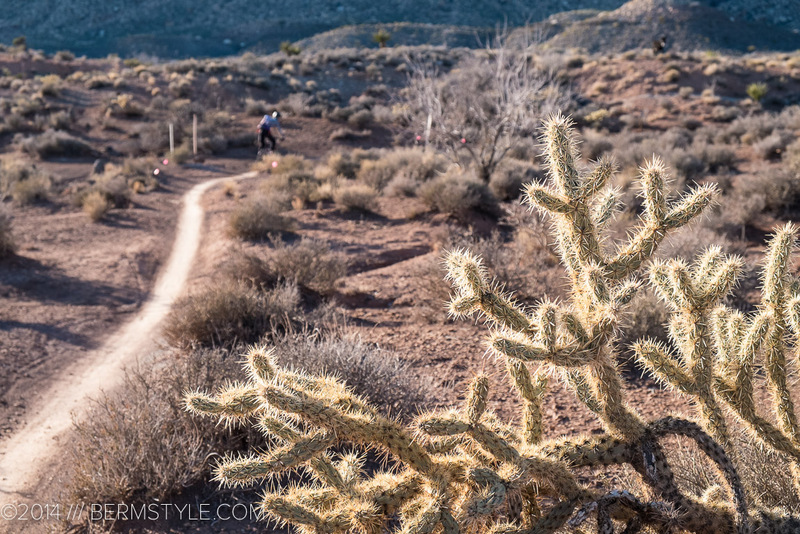 There are a few rock gardens, but for the most part is fast paced and perfect for a five inch travel trail bike. It would make for a good training loop that keeps things interesting, and with the wind, was a good choice of locations for our day. 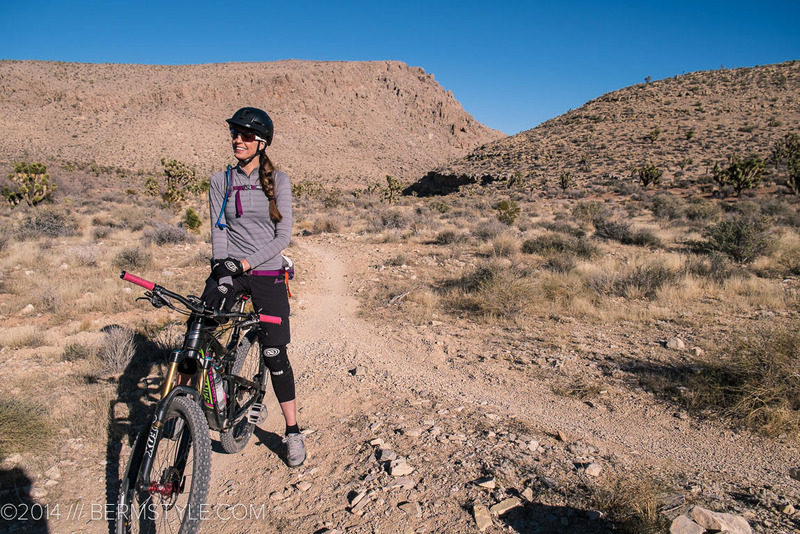 Desert riding is great change of pace from many of our local Bay Area trails, and if you’re in the Vegas area, it’s worth checking out. 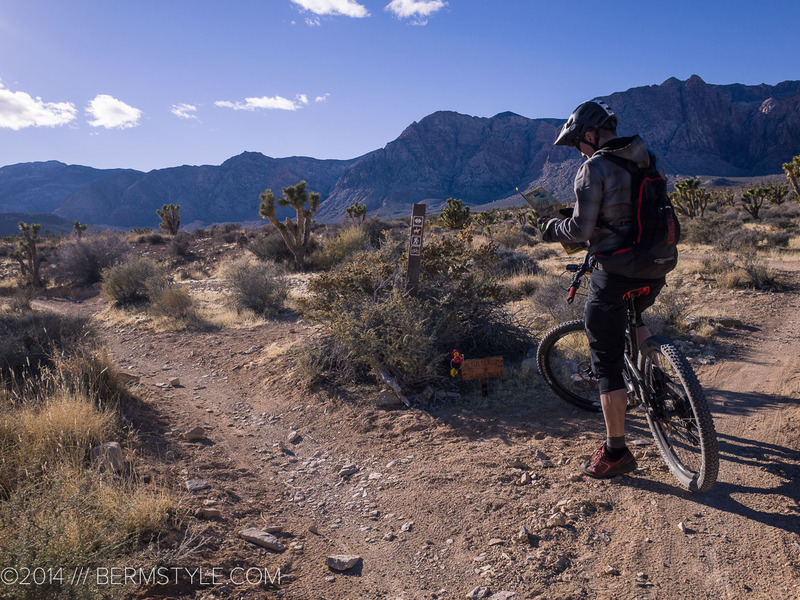 Wrapping up the ride back to Diamond on Landmine Loop Trail. 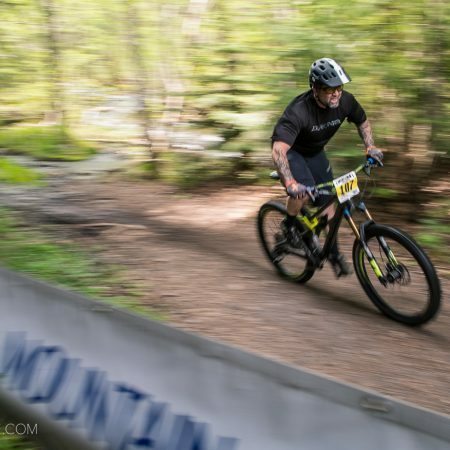 No idea which trail this is. 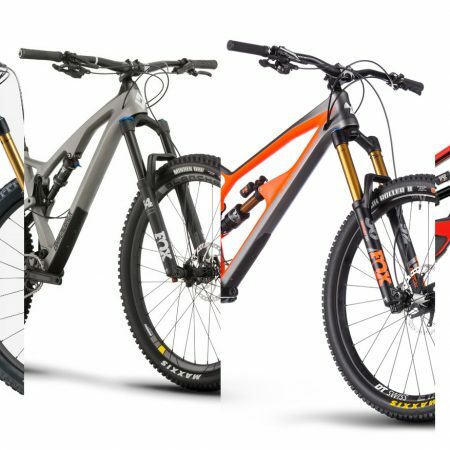 We found the best online resources for the trail to be MTBProject.